As with anything in life that you set out to do, preparation increases the likelihood of success. Somehow, we think our hardworking veterans and service members know that already! 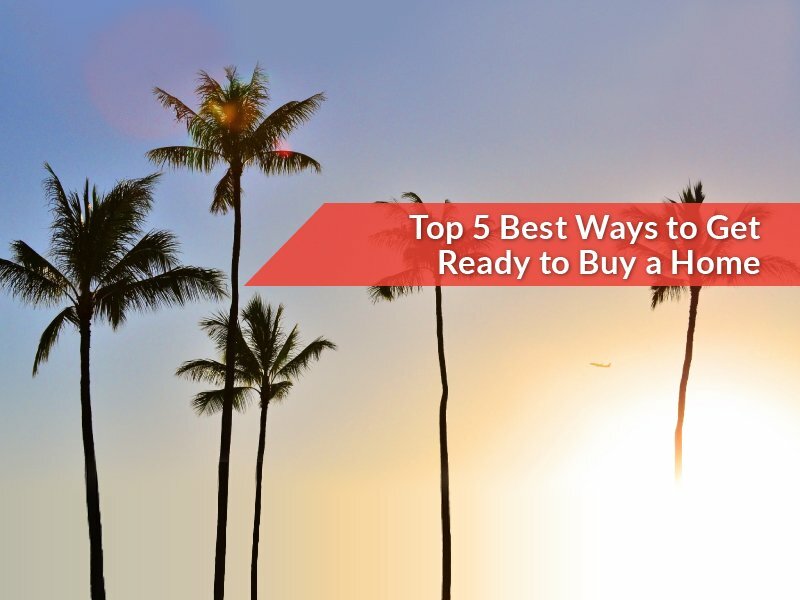 Yet, for many, buying a home in Hawaii is the endeavor of a lifetime that can come with many questions about how to get set up to do so. Therefore, we give you the five BEST ways to get ready to buy a home using your VA loan. The first step in preparing to buy a home is to learn about your VA Loan benefits and the VA loan process in Hawaii. There are multiple ways to gather that knowledge. Download our VA Homebuyers’ Guide. This comprehensive guide is easy-to-read and combines all of our knowledge as a local Hawaii VA loan lender since 2007, and it’s free. Check out the Top 6 Benefits of VA Loans to discover why VA loans are preferred over conventional loans. Call us at 808-792-4251 or fill out our contact form. If you want to talk one-on-one with a VA Specialist to find out more information regarding your VA loan benefits, the VA loan process, your VA loan eligibility, etc. – we’re happy to answer any question you may have. Not only can debt negatively affect your credit score, each dollar of minimum monthly payment reduces the amount of housing payment you qualify for. This can lead to being pre-approved for less than you had hoped for. Here are some ways to increase your buying power. Eliminate or reduce car payments OR don’t buy that new car! FACT: At today’s interest rates, a $600/month car payment equates to approximately $125k in buying power! Decrease high credit card payments. TIP: It may be smart to convert that credit card debt to an installment loan with lower monthly payments. This could increase your credit score over time as long as you keep that freed up credit card balance near zero. In order to be approved for a VA loan, the lender will analyze your Debt-to-Income ratio (DTI), as well as your residual income to make sure you are financially set to afford a monthly mortgage. Building up your savings affords you flexibility in the home buying process. It also helps with potential home renovations or upgrades you may desire after purchasing a home. Budget your earnings so that you’re saving funds each month. You’ll feel comfortable knowing that extra money is available. The VA loan limit for Hawaii is $726,525. However, you may find that you are interested in a home that is listed at a higher selling price than the county loan limit. In such a case, you may use the VA Jumbo Loan as an option if you have a percentage available for a relatively small down payment. During the VA appraisal process, the VA home inspector will make sure that the home meets VA safety guidelines that protect the service member and veteran homebuyer. However, it is helpful to have money saved to make any upgrades or personal changes once your loan has closed and you receive the keys to your home. Pre-qualification is an informal process that means you’ve contacted a VA Loan Specialist, allowed them to review your credit, and provided them verbal information regarding your assets and monthly income. Getting prequalified can take as little as 15 minutes by calling us or coming in to meet with us at our Kailua or Kapolei office. Such an informal process makes getting pre-qualified quite simple, but it also adds a level of risk that the information may be misinterpreted. Thus, getting PRE-APPROVED for a VA loan is the next definitive step to take as you prepare to buy a home. Once you are pre-qualified, the loan officer provides you with a list of documentation needed for review in order to verify the figures provided. You’ll likely sit down together, he or she will make any adjustments to income and assets per the verification documents and submit the loan through an Automated Underwriting System to determine the approval and eligibility. This process is much more thorough and gives both the borrower (you) and the real estate agent the added assurance that financing should move smoothly. Most recent LES or pay stub (total of one month). Most recent 2 years of Federal Tax Returns (including all schedules & W2s). Most recent 2 months of bank statements showing assets that will be used for closing. By taking the steps above to learn about the VA loan process, controlling your debt, saving money, and getting pre-approved, you will be well on your way to making your first home purchase. It’s an exciting time for you and as Hawaii’s longest-running VA loan lender, we look forward to helping you become a homeowner!